Join us Aug 3-Sept 14 for our Summer 2014 Tour aboard FluxWagon! What to expect: Summer Tour F.A.Q. Six of Rudyard Kipling’s Just-So Stories, performed LIVE on FluxWagon, our mobile stage, at a park or public space near you! Bring a blanket, your ‘satiable curtiosity, and your most ridiculous sense of humor! Come early to see the pre-show shenanigans as we set up the stage — stay as long as you want — and join us any time. Unless otherwise noted, all shows will be OUTDOORS and FREE to the public — though donations are gladly accepted! Ever-so-much information about attending a show is available at our F.A.Q. page. For updates and other goodies, follow us on Twitter, like us on Facebook, or sign up to follow our Blog (down there on the right)! 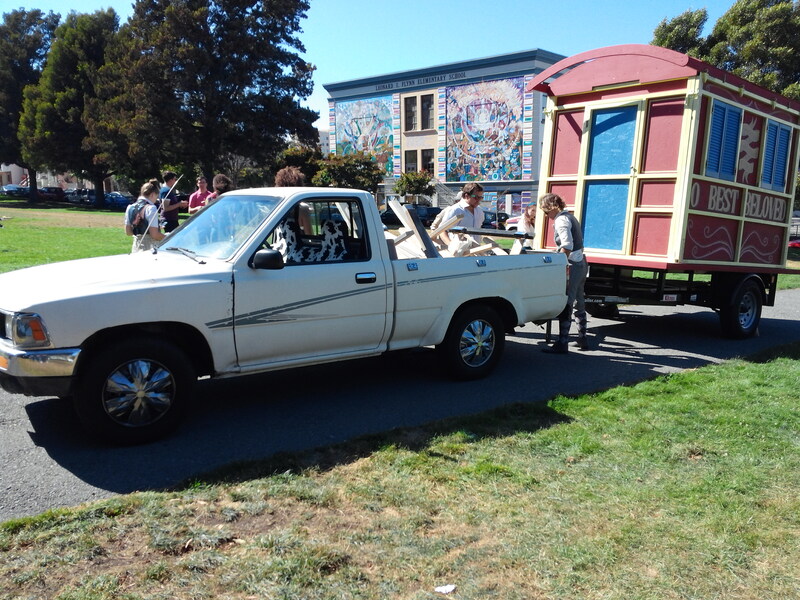 Theatre Bay Area has awarded us a CA$H Grant to build FluxWagon, our mobile performance stage. We’re updating our blog as construction on Fluxxie progresses. If you’re interested in bringing O Best Beloved to your community, please download our booking kit: OBB Booking Kit 2014.